Not to be confused with Unitarian Universalism, the Unification Church, or Unitarianism. Unity, known informally as Unity Church, is a New Thought Christian organization that publishes the Daily Word devotional publication. It describes itself as a "positive, practical Christianity" which "teach[es] the effective daily application of the principles of Truth taught and exemplified by Jesus Christ" and promotes "a way of life that leads to health, prosperity, happiness, and peace of mind." Unity was founded in Kansas City, Missouri, in 1889 by Charles Fillmore (1854–1948) and Myrtle Fillmore (1845–1931) after Mrs. Fillmore had been cured of her tuberculosis, she believed, by spiritual healing. This resulted in the Fillmores' studying world religions, spiritual healing, and the link between science and religion. They were influenced by Dr. E. B. Weeks, Ralph Waldo Emerson, Emma Curtis Hopkins and Mary Baker Eddy (the founder of Christian Science). 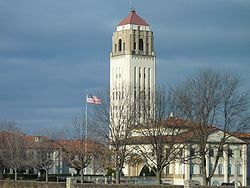 After World War I, Unity Village, which became a 1,200-acre incorporated town, was developed 15 miles from Kansas City. After Charles Fillmore's death, the movement was initially led by the Fillmores’ sons and grandchildren. Individual Unity churches are autonomous, governed by their own Board, choosing their minister, and seeking affiliation according to guidelines. Minister training, ministerial placement, and educational resources are offered at Unity World Headquarters, which also publishes magazines, books, and pamphlets. Their prayer ministry, Silent Unity, a telephone and email service, offers prayer and counseling. Unity operates several programs, including a prayer program called Silent Unity, the Unity Society of Practical Christianity, Unity School of Christianity, Unity Institute, the Office of Prayer Research, the Association of Unity Churches, and Unity House, the church's publishing arm. 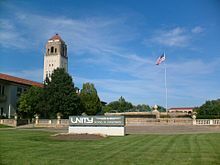 The home of Unity is at Unity Village, Missouri, a suburb of Kansas City. Unity describes itself as a worldwide organization offering an approach to Christianity which teaches a positive approach to life, seeking to accept the good in all people and events. Unity began as a healing ministry and healing has continued to be its main emphasis. It teaches that all people can improve the quality of their lives through thought. Unity describes itself as having no particular creed, no set dogma, and no required ritual. It maintains that there is good in every approach to God and in every religion that is fulfilling someone's needs. It holds that one should not focus on past sins but on the potential good in all. Unity emphasizes spiritual healing, prosperity and the curing of illness by spiritual means, but Unity does not reject or resist medical treatments. Unity is accepting of the beliefs of others. Churches fall under the auspices of Unity Worldwide Ministries although each church is autonomous in its practices. "God is the source and creator of all. There is no other enduring power. God is good and present everywhere." "We are spiritual beings, created in God’s image. The spirit of God lives within each person; therefore, all people are inherently good." "We create our life experiences through our way of thinking." "There is power in affirmative prayer, which can increase a person's connection to God." "Knowledge of these spiritual principles is not enough. People must live them." Unity aims to demonstrate that the teachings of Jesus Christ can be lived every day. Its followers believe that the true "Church" is a "state of consciousness in mankind." Unity teaches that each person is a unique expression of God, that each person is sacred, and each person is worthy. Unity emphasizes the creative power of thought in people's experience, and encourages taking personal responsibility to choose life-affirming thoughts, words and actions, in order to experience a more fulfilling and abundant life. H. Emilie Cady's 1896 book Lessons in Truth, A Course of Twelve Lessons in Practical Christianity is considered a core text of Unity. God is not a person who has set creation in motion and gone away and left it to run down like a clock. God is Spirit, infinite Mind, the immanent force and intelligence everywhere manifest in nature. God is the silent voice that speaks into visibility all the life there is. God is your higher self and is in constant waiting upon you. He loves to serve, and will attend faithfully to the most minute details of your daily life. Unity Church followers believe in the divinity of Jesus, but only in the sense that all humans are the children of God and share that divine potential. They believe that Jesus was a master teacher who expressed this divine potential and sought to show others how to do the same. Unity uses the term "Christ" to mean the divinity in all people. For them Jesus is the great example of the Christ in physical form. Unity Church teaches that its followers are all individual, eternal expressions of God, and that their essential nature is divine and therefore inherently good. Unity followers believe their purpose in life is to express their divine potential as demonstrated by Jesus, and that the more they awaken to their divine nature, the more they can do this.Salvation, in the Unity view, is found in conscious understanding of one's innate divinity and then putting that knowledge into practice in everyday life. Unity founders, Charles and Myrtle Fillmore, studied the Bible as history and allegory. They interpreted it as a metaphysical representation of each soul's evolutionary journey toward spiritual awakening. Unity understands the Bible as a complex collection of writings compiled over many centuries. The Bible is a valuable spiritual resource, but is understood as a reflection of the comprehension and inspiration of the writers and their times. Affirmative prayer is understood, in Unity, as the highest form of creative thought. It includes the release of negative thoughts and holding in mind statements of spiritual truth. Unity teaches the use of meditation and prayer as a way to experience the presence of God, heighten the awareness of truth, and thereby transform our lives. Prayer is valuable not because it alters the circumstances and conditions of your life, but because it alters you. Unity teaches that it is helpful to pray with the belief that we have already received all that we need. In this view, through prayer the mind is renewed and the body transformed. The awareness that we are conscious creators of our lives, has the power to make the bridge between the old Christianity where we are "sinners" to the new understanding that we are "learners." The Unity School of Christianity holds that prayer is not a way to inform God of one's troubles or to change God in any way, but rather, prayer is properly used to align with the power that is God. Unity emphasizes its agreements, not differences, with traditional Christians and stresses its concurrence with the teachings of Jesus and the Bible. It has been generally accepted that Jesus' great works were miracles and that the power to do miracles was delegated to His immediate followers only. In recent years many of Jesus' followers have inquired into His healing methods, and they have found that healing is based on universal mental and spiritual laws which anyone can utilize who will comply with the conditions involved in these laws. Well known persons affiliated with Unity include Maya Angelou Betty White, Eleanor Powell, Lucie Arnaz, Wally Amos, actress Michael Learned, Licensed Unity Teacher Ruth Warrick, Barbara Billingsley, Theodore Schneider, Erykah Badu, Matt Hoverman, author Victoria Moran, Patricia Neal, Holmes Osborne, and Episcopal Bishop John Shelby Spong. ^ "Frequently Asked Questions". Unity.org. Retrieved 2012-12-29. ^ a b "Unity School of Christianity". Encyclopædia Britannica Online. Encyclopædia Britannica. Retrieved 2009-06-26. ^ "About Youth of Unity | Unity in the Gold County Spiritual Center". www.unitygold.us. Retrieved 2018-03-28. ^ "Youth of Unity – Unity Worldwide Ministries South Central Region". unitysouthcentral.org. Retrieved 2018-03-28. ^ a b c "Unity School of Christianity, The New Encyclopædia Britannica, 1987, Vol 12 P, 162. ^ "Frequently Asked Questions about Unity". Unity.org. Retrieved 2012-12-29. ^ "What We Believe". Unity.org. Retrieved 2012-12-29. ^ "Talks on Truth, by Charles Fillmore, page 9". The New Thought Library. Retrieved 2 November 2015. ^ "Talks on Truth, by Charles Fillmore, page 11". The New Thought Library. Retrieved 2 November 2015. ^ "Unity Beliefs". Bible.ca. Retrieved 2012-12-29. ^ "The Power of Thought by Dr. Maya Angelou - New Thought Unity Center". www.ntunity.org. ^ Villalva, Brittney R. "Betty White- I'm 'Sexier' and 'More Wise' at 91 (PHOTO)". www.christianpost.com. The Christian Post. Retrieved 13 March 2015. ^ Taylor, Jim. "OUR "QUEEN OF TAP DANCING" - ELEANOR POWELL". www.tapdance.org. International Tap Association. Retrieved 13 March 2015. ^ Messer, Kate X. "Lucie 'splains It All". www.austinchronicle.com. The Austin Chronicle. Retrieved 13 March 2015. ^ "Paid Notice: Deaths WARRICK, RUTH". The New York Times. January 18, 2005. Retrieved 13 March 2015. ^ Moran, Victoria. "Growing Up on Daily Word". www.dailyword.com. Daily Word. Retrieved 13 March 2015. ^ Raven, Barbara C. Badge of Courage. Unity Church of New York, 2002. Fillmore, Charles (1931). Metaphysical Bible Dictionary. Unity Village, Mo. : Unity School of Christianity. Fillmore, Charles (1997). The Revealing Word: a dictionary of metaphysical terms. Unity Books. ISBN 0-87159-006-9. Vahle, Neal (September 2002). The Unity Movement: Its Evolution and Spiritual Teachings. Templeton Foundation Press. pp. 504 pages. ISBN 1-890151-96-3.